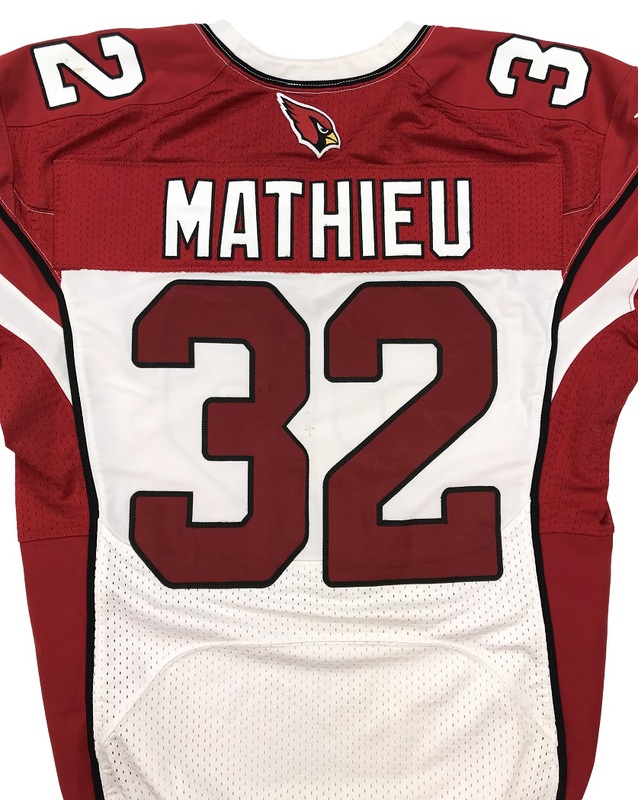 Arizona Cardinals safety Tyrann Mathieu wore this jersey during the Cardinals contest versus the Denver Broncos on October 5th, 2014. 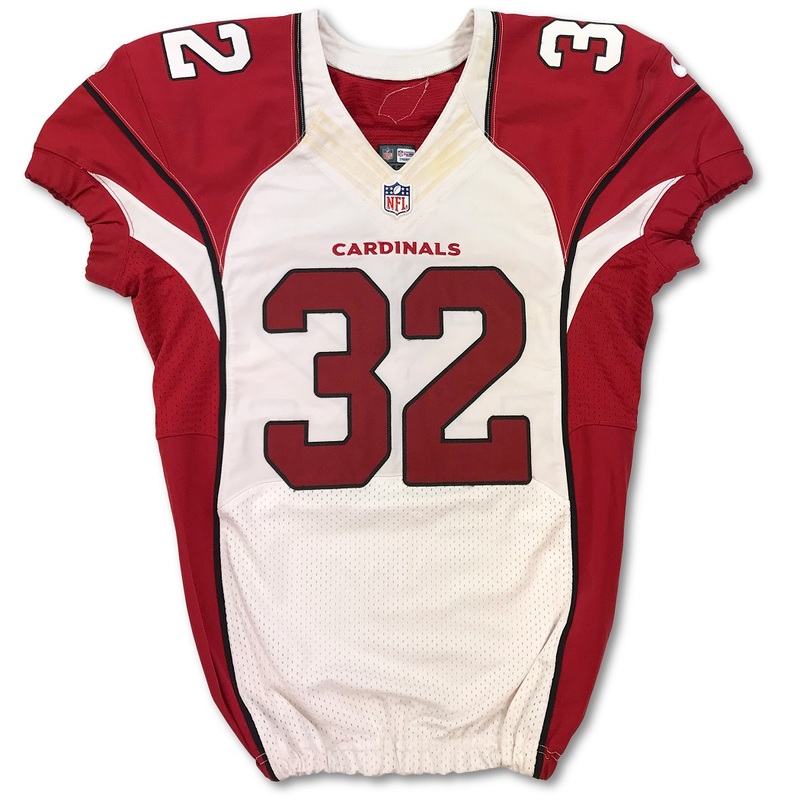 This jersey is primarily white, with red shoulders, sides, and sleeves. Mathieu’s number “32” is sewn on the front and back in red and black tackle twill, and on the shoulders in white and black tackle twill. 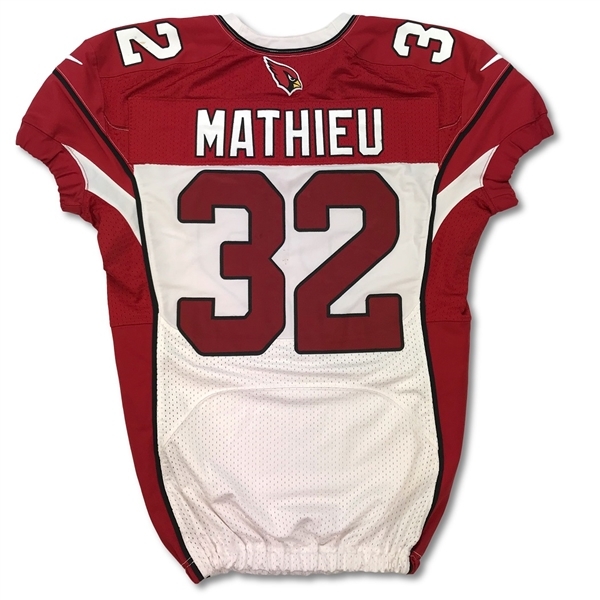 “MATHIEU” is sewn across the back shoulders in white and black tackle twill over a matching red nameplate. 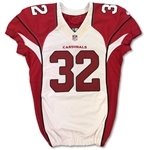 A Cardinals’ logo is sewn on the back outside collar, and white Nike swooshes are sewn on each sleeve. 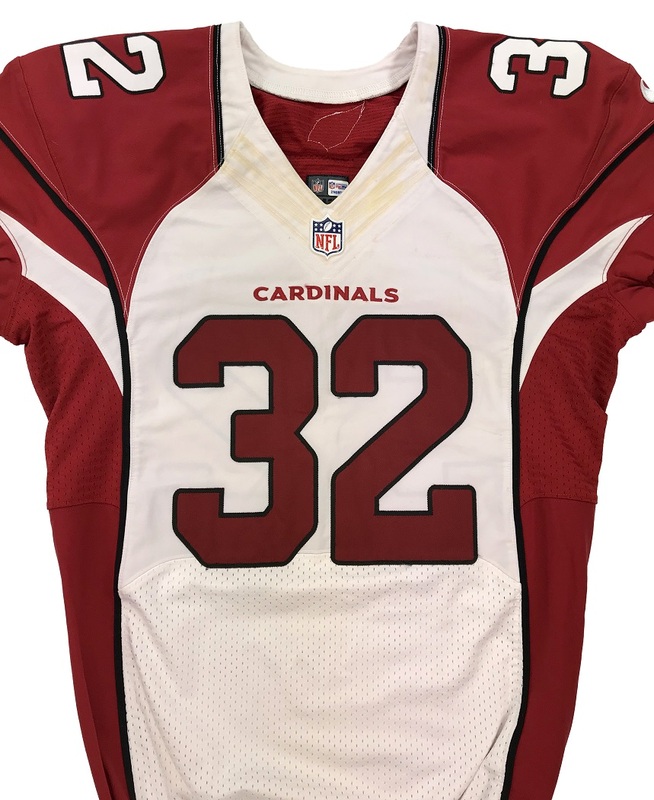 A vinyl NFL shield is attached to the collar, and “CARDINALS” is embroidered in red on the chest. 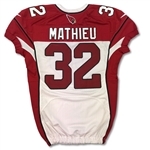 Black piping accents this jersey, and the lower half and sides of this jersey are made of mesh fabric. 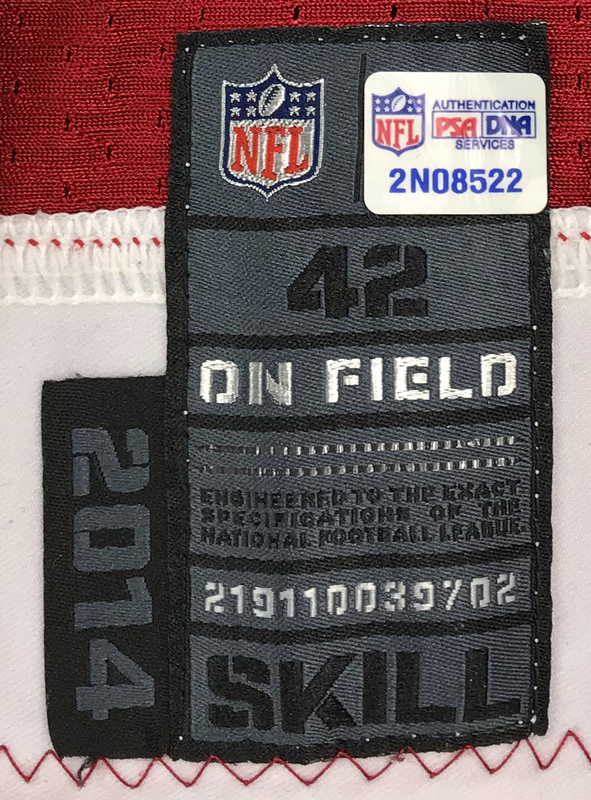 A size “42 SKILL” tag with an attached “2014” flag is sewn on the back inside collar. This item comes with a COA from NFL PSA/DNA (2N08522).